There are valid reasons for carrying a weapon. Some people require them for work while others rely on them for safety. State and federal laws regulate the carrying and possession of weapons, and those regulations state that some weapons cannot be owned at all, and others cannot be carried in New Jersey. Many may not be carried or concealed without the proper license or permit. The Law Office of David Jay Glassman defends New Jersey clients against state and federal gun possession charges. Whether you were charged with carrying an assault weapon, a concealed weapon or a stun gun, we can help. The Second Amendment to the Constitution guarantees you the right to bear arms, and we do everything possible to uphold that right. Prohibited weapons. New Jersey does not allow the possession of a sawed-off shotgun, switchblade knife, stun gun, gravity knife, dagger, brass knuckles, slingshot or sand club. Many other less common weapons such as dirks are also prohibited. Gun silencers are also banned. Prohibited ammunition. The state has banned civilians from carrying dum-dum or body armor penetrating ammunition. Possession for unlawful purposes. Certain objects, such as explosives or imitation firearms, are illegal to possess if they are being used for unlawful purposes. The use or possession of a weapon while committing a crime results in greater charges and stiffer penalties. Unlawful possession without license. Many weapons can only be possessed by someone licensed to do so in the state of New Jersey. This category includes machine guns, handguns, rifles (assault weapons) and shotguns. Transportation. There is a requirement that a gun transported through the state must be unloaded and locked in the trunk. We know, however, that there are exceptions to each of these rules, and we fight tenaciously to get your charges dropped or reduced based on these permitted uses. Our firm also defends those charged with illegally selling or manufacturing weapons as well as those who have run afoul of any of the state’s or the federal government’s other weapons regulations. In addition to the state’s regular laws for weapons possession, there are additional regulations concerning juveniles. It is a crime to sell handcuffs or certain knives to minors. Because licenses are necessary to carry most weapons in New Jersey, nearly all possession by minors is unlawful. Our firm defends minors accused of carrying or possessing weapons, regardless of whether the weapons are alleged to have been used in another crime. 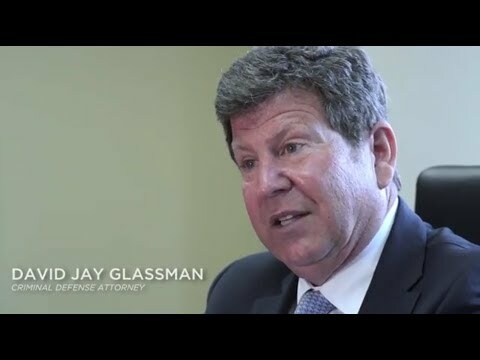 The Law Office of David Jay Glassman takes the Second Amendment seriously. Our firm defends those charged with all state and federal gun and weapons crimes, from possession of a concealed weapon to weapons trafficking. From our offices conveniently located in Hackensack, Marlton, Newark and New Brunswick, our legal team handles cases throughout New Jersey. For a free consultation with a top-rated lawyer with more than 35 years of criminal defense experience, call 866-221-1270 or contact us online.